The short answer to our provocative headline is no. But two other recent headlines got us pondering the question. Yesterday, the New York Times, and on Monday, the Journal of the American Medical Association (JAMA) published, respectively, a story and an opinion piece on the potential downsides to medicine that is aimed at specific genetic profiles. The Times’ piece is about the potential for corruption. The article homes in on the case of Renaissance RX, a genetic testing lab in New Orleans that has come under tough scrutiny for its billing and clinical studies enrollment practices. The short story is that Renaissance (and other many labs) may have put the profit cart far ahead of the efficacy horse. The result of that misalignment is that they’ve been charged with enrolling ineligible patients in a very ambitious study (the goal: 250,000 participants) and that to achieve that goal, they’ve teetered on the brink of bribing doctors to enroll their patients. On top of it all, Medicare stopped paying Renaissance at the end of last year so that it could take a closer look at the lab’s billing and payment practices. The Justice Department has launched its own investigation into the company. While the Times article reads a little like a tale in which the Wild West meets Law and Order, the opinion piece in JAMA is more measured, but no less damning of how payers, providers, patients, and others have become swept up in the, as yet to the authors, unrealized promises of personalized medicine. 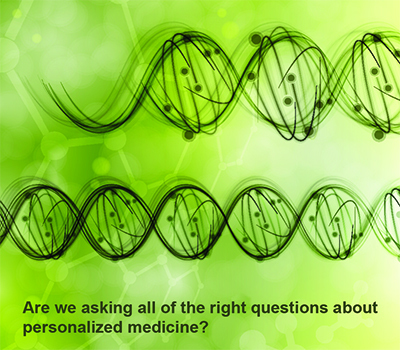 In the article, Seven Questions for Personalized Medicine, Dr. Michael Joyner and Dr. Nigel Paneth challenge widespread support for personalized medicine in the areas in which many of us hold a great deal of hope for the transformation of medicine as we know it. 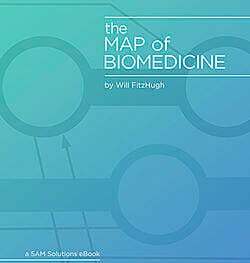 From the potential for lowered costs (the authors submit that a personalized approach will cost more) to the usefulness of electronic medical records in furthering precision medicine to the future of clinical trials, and more, the doctors are not optimistic that personalized medicine proponents have considered all the possible pitfalls. To be sure, both pieces raise important questions that have to be asked at each phase of innovation as we move forward, but there should be no mistaking -- we’re going to move forward. Like any innovation, as precision medicine unfolds, there will be unfortunate mistakes, unforeseen and unforeseeable ramifications, charlatans (think California Gold Rush), and -- thankfully -- real progress. However, unlike innovations of the past, personalized medicine is unfolding in seemingly real time as every change to the landscape gets charted in tweets, blog posts, and on Facebook pages before any major development can be appreciated in its entirety and understood in context. The answer is still no, but we shouldn’t ignore the tough questions. Failing to address them will only slow things down.